On a Tuesday during the late September public holidays, I met some fellow film photographers for a meandering walk through the neighborhoods along the Chuo railway line in Tokyo. This outing gave me the opportunity to finally break out the Polaroid, and also to break in a brand new pair of Vans. One of these was a good decision; I won’t say which. In preparation for the day, I stocked up on pack film and 35mm at Bic Camera and spontaneously grabbed a roll of black and white. I haven’t shot black and white in about seven or eight years, having first made the switch to Not Shooting Anything, followed by the switch to digital. Since picking up film again, I haven’t shot one solitary roll. I am really glad I did that day. 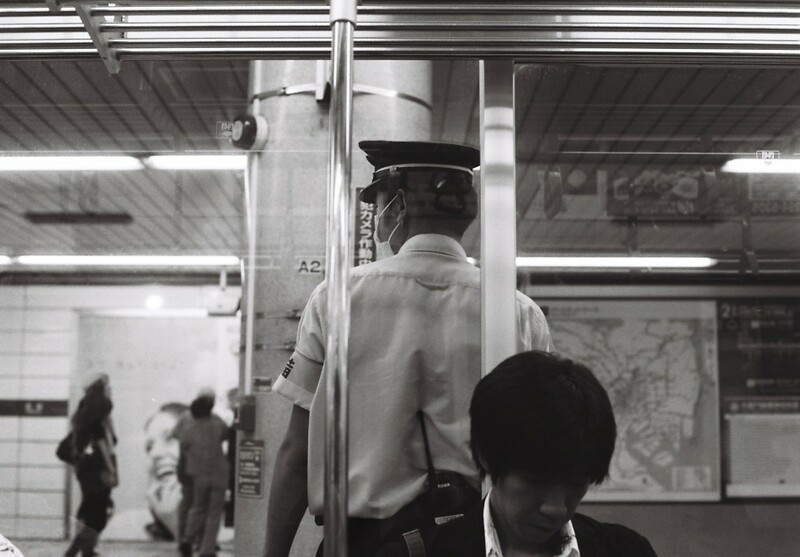 The 38 shots on that roll are some of my favorites from my entire stay in Tokyo. 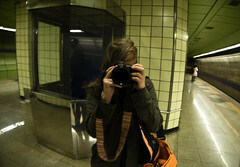 I’m going to post them slowly, squeezing every moment out of Tokyo in tiny little tastes. 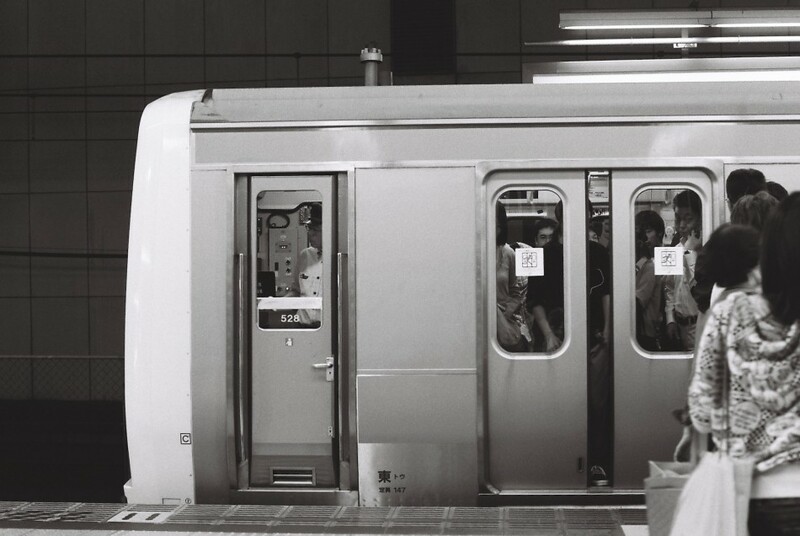 This entry was posted on Wednesday, October 14th, 2009 at 1:18 am	and is filed under Film, Japan, Tokyo and tagged with B&W, Chuo line, Film, Japan, Tokyo. You can follow any responses to this entry through the RSS 2.0 feed. how do you do it? you capture moments that most people never notice — people going about their day, mostly — and they are perfect. amazing. i’m excited to see more of these B&W pics. oh, yes. can hardly wait to see more. and bic camera? so great. and I thought I liked tokyo in colour, wow. you do it so well. hi lady!